James Talley is an American singer-songwriter. 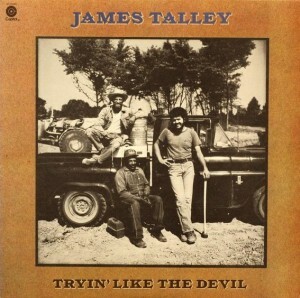 James Talley had finally seen his debut album recorded and released on Capitol Records in 1975. It wasn't much of a seller, but was a hit with the critics. Capitol gave the go-ahead for a follow-up, which saw release the next year. Tryin' Like The Devil was a continuation and development of the understated country-folk sound of its predecessor, showcasing another fantastic collection of distinctive songs, this time with a lyrical focus on hard times, poverty and working life. Among the new songs were a few real highlights, some of his very best songs. Musical guests included Western Swing fiddler Johnny Gimble and bluegrass dobro player Josh Graves. 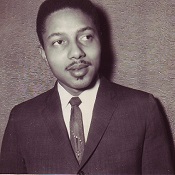 Art Neville is an American singer and keyboard player from New Orleans, best known as a founding member of The Meters. Art Neville was born in New Orleans in 1937, and grew up with his three younger brothers Charles, Aaron and Cyril surrounded by music. He took up the piano, and in the 50s led an R&B group called The Hawketts. They had a regional hit in 1954 with "Mardi Gras Mambo", which remains a much-loved New Orleans carnival anthem to this day. He also recorded as a solo artist for the Specialty label in the late 50s, but his music career was interrupted by a stint in the US Navy. On returning in the early 60s, he recorded for Joe Banashak's Instant label, with Allen Toussaint producing and writing much of the material. The one song to become a regional hit was the wonderful Toussaint-penned ballad "All These Things". In 1966 his brother Aaron had a huge hit with the single "Tell It Like It Is", and Art went on tour with him as his keyboard player and manager. On returning to New Orleans, they formed a group with their youngest brother Cyril, and Art Neville & The Neville Sounds became one of the hottest live acts in New Orleans. Unfortunately they never recorded. The group split when Art found he had a unique musical connection with members Leo Nocentelli, George Porter and Zigaboo Modeliste, and they went out on their own under the name The Meters. A couple of singles came out with Art singing, but by 1969 they were forging ahead as an instrumental group playing their own unique brand of stripped-down funk. This short compilation brings together a number of loose ends from Art Neville's career prior to The Meters' first album, though it does not include his Specialty recordings as they can be found on an extensive compilation of their own. So here we have "Mardi Gras Mambo", followed by some of his 60s Instant recordings including "All These Things", and three songs with The Meters, including a great Bo Diddley cover. Dion is an American singer-songwriter, best known for his string of hits in the early 60s. 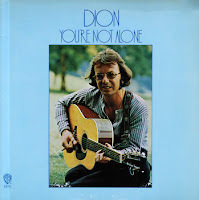 You're Not Alone was Dion DiMucci's second album for the Warner Bros label, released in 1971. Coming after the stripped-down, solo acoustic performances of Sit Down Old Friend, it was notable for featuring full band arrangements again, but still with an intimate acoustic focus. The subtle, unobtrusive arrangements (with Paul Griffin on keyboards and Hugh McCracken on guitar) and stellar production qualities made for a wonderfully warm and soulful sound, and showed how well Dion had settled into this mature, introspective new format. It was mostly made up of originals, though it also featured covers of Melanie Safka's "Close To It All" as well as two splendid Beatles covers ("Let It Be" and "Blackbird"). Ultimately it generated pretty much nothing in the way of commercial success, but surely stands out as one of the very best albums from this fruitful phase of his recording career. Otis Redding was a highly influential American singer and songwriter, considered one of the most important artists of the soul genre. After Otis Redding died aged 26 in 1967, "(Sittin' On) The Dock Of The Bay" gave him his biggest ever hit posthumously. His fame continued to grow and his music went on to reach an even larger audience after his death, and as there was a lot of unreleased material still waiting to be heard more Otis Redding albums were inevitable. 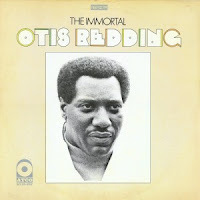 The Immortal Otis Redding was the second such posthumous release, and four of its songs became chart hits when released as singles in 1968. On the R&B singles chart, "The Happy Song" reached #10, "Amen" got to #15, and "I've Got Dreams To Remember" made it to #6. "The Happy Song" also broke into the Pop charts at #25. becoming one of his biggest pop hits. However the most memorable song on the album was actually the b-side to "Amen" - "Hard To Handle" was the funkiest number Redding had recorded, and though it only charted at #38 R&B and #51 Pop in the US, it was very popular in the UK, where it made it to #15. Santana are a band who have been active since the late 1960s, based around guitarist and leader Carlos Santana, and known for their fusion of rock and latin music. After three highly acclaimed albums that saw them successfully fuse rock with jazz and Latin music, the band Santana underwent a few changes. Bassist David Brown and percussionist Michael Carabello both left, and during the recording of the fourth album their roles were taken over by various musicians. Meanwhile keyboardist & vocalist Gregg Rolie was starting to fall out with Carlos Santana himself. The end result was a very different album from the first three, not really representing the sound of a unified band. Instead it came across more as a loose jam session between a large cast of musicians, with the band's jazz leanings well to the front, and only three vocal songs among seven instrumentals. It made for a great record, but lacking anything that could be considered for a single release it was unsurprisingly not a commercial success. 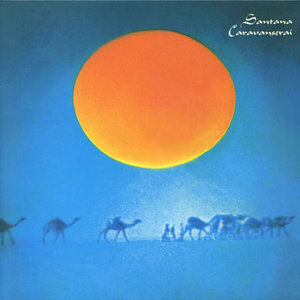 Ultimately Caravanserai marked the start of a new chapter in Santana's career, as the band moved away from rock and towards a more experimental and complex sound. Both Gregg Rolie and guitarist Neal Schon left the group after its release - they went on to become founding members of Journey. 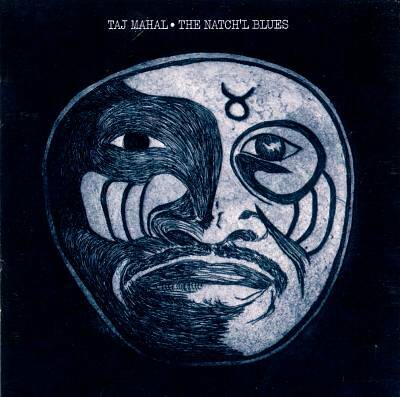 Taj Mahal's debut album released in 1968 had got his solo recording career off to a great start. Later that same year he got to perform as a guest on The Rolling Stones Rock And Roll Circus event (which actually wasn't aired at the time). Before the year was out he had released his second album, The Natch'l Blues. An excellent record, it demonstrated his ability to look beyond the then somewhat over-familiar electric blues format and incorporate a variety of different ideas. It featured both rootsy numbers such as the folk songs "Corinna" and "The Cuckoo", and Memphis soul (complete with horns) with fantastic covers of William Bell's "You Don't Miss Your Water" and Homer Banks' "Ain't That A Lot Of Love". Musical backing came from guitarist Jesse Ed Davis, bassist Gary Gilmore and drummer Chuck Blackwell, plus appearances from Al Kooper on keyboards and veteran studio drummer Earl Palmer. 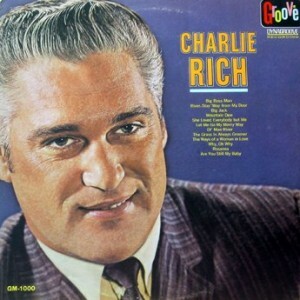 Charlie Rich was an American singer-songwriter and pianist, best known for his success as a country artist. Charlie Rich had scored Top 40 hit on Sun Records in 1960 with "Lonely Weekends", but he failed to produce a follow-up and so by 1964 he had been dropped by the label and signed to the Groove label. A subsidiary of RCA Victor, Groove had originally been an R&B label but had recently been relaunched with a focus on country and pop. Rich's recordings for Groove were produced by Chet Atkins, and so it is unsurprising that he was guided in the direction of country. A self-titled album was released in 1964, and though country material was present, R&B-based material still featured heavily, and a few of the songs were notably very jazzy. Atkin's 'Nashville Sound' production tied the whole thing together with heavy doses of backing vocals and strings, and it could be argued that a lot of the material would have worked much better without this treatment. The result was an eclectic fusion of blues, country and jazz stylings somewhat obscured by the overproduction, but at certain high points Rich's soulful vocals and jazzy piano playing broke through and really showed what he was capable of. 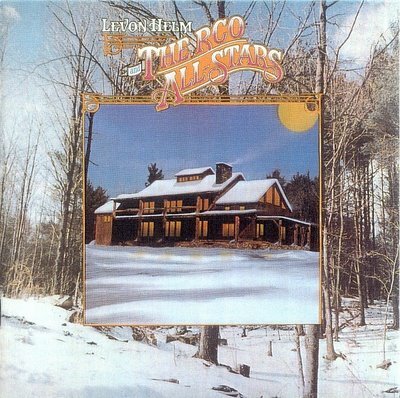 The songs featured covers of Jimmy Reed's "Big Boss Man" and the old standard "Ol' Man River", but for the most part consisted of originals (and very good ones at that). Unfortunately he still struggled to produce a hit, and his time on Groove would prove to be short-lived. Clarence Carter is an American soul singer, songwrtier and guitarist. Album number three from Clarence Carter quickly followed in the footsteps of his last one, also seeing release in 1969. 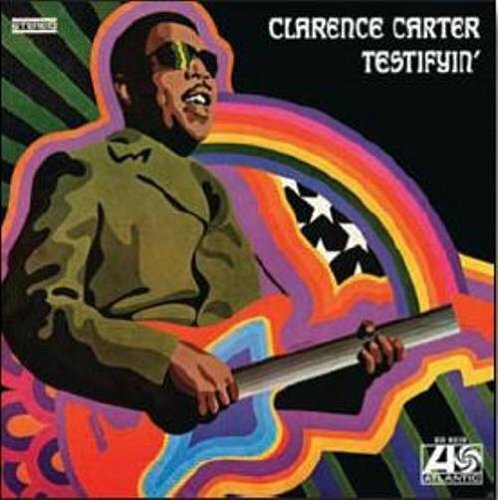 Testifyin' was another showcase for the Muscle Shoals R&B sound and Carter's sly wit, the latter seen nowhere better than on "Back Door Santa", a Christmas song which had little to do with Christmas. The album generated three more Top 10 R&B hits for Carter - "Doing Our Thing" and "The Feeling Is Right" both got to #9, and "Snatching It Back" got to both #4 R&B and #31 pop. Another notable song was "Making Love (At The Dark End Of The Street)", which saw him give a lengthy soul sermon before breaking into his own powerful rendition of "The Dark End Of The Street". The album also featured covers of John D. Loudermilk's "Bad News" and The Box Tops' "Soul Deep". Billy Preston was an American singer-songwriter and keyboard player, best known for his talents on the Hammond organ. Billy Preston was born in Houston, Texas in 1946, and moved with his family to L.A. when still young. He began to play piano, and became something of a child prodigy, playing organ onstage backing well-known gospel singers such as Mahalia Jackson. Aged eleven, he appeared on Nat King Cole's national TV show, singing and playing Fats Domino's hit "Blueberry Hill" alongside Cole. In 1962 he became part of Little Richard's band, and met The Beatles for the first time. In 1963 he played on Same Cooke's Night Beat album, and was offered the chance to record his own solo album on Cooke's SAR Records label. 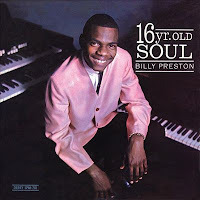 16 Yr. Old Soul saw release that same year, a lively little album that saw the young Preston's dazzling keyboard skills (on both piano and Hammond organ) take on a set on instrumentals that included covers of "I Can't Stop Loving You" (as done by Ray Charles), Sam Cooke's "Bring It On Home To Me" and Billie Holiday's "God Bless The Child". A very good (and early) start to what would be a great recording career. JJ Cale was an American singer-songwriter and guitarist. 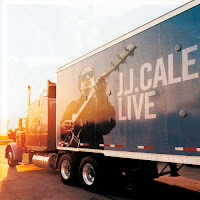 JJ Cale's first live album came late in his career. The simply-titled Live was released in 2001, and gathered together concert recordings from between 1990 and 1996, run together seamlessly so that they sounded like they all came from the same source. 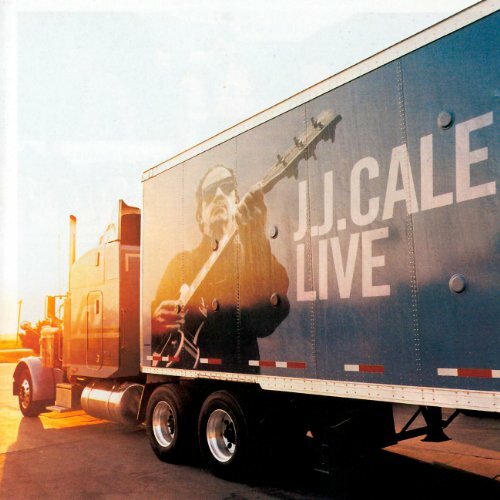 To those fans that had only ever heard JJ Cale on record, it was interesting to hear what he sounded like in concert. On much of his music the studio is a vital part of his signature sound, especially in his use of double-tracked, whispered vocals. In concert it was obviously a different affair, though it's safe to say he still sounded unmistakeably like JJ Cale. The sound was bigger, looser and more powerful, though his distinctive vocals and lead guitar sat comfortably on top of the full band arrangements. The album actually opened with a solo rendition of one of his best-known songs, "After Midnight", and if anything this is him at his most natural and effective, just his voice and his (electric) guitar. For the second song he was accompanied by just the bassist, and from the third song onwards the whole band (which included his wife Christine Lakeland) joined in. It was a very welcome addition to his discography, giving the record-buying a fans a new take on his music (though of course he had been doing this in concert all his career!). Dr John (real name Mac Rebennack) is an American singer-songwriter and musician, best known as a pianist. 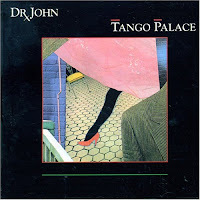 Tango Palace was the second of two Dr John albums to be produced by Tommy DiPuma in New York CIty and released on Horizon Records in the late 70s. Like its predecessor, City Lights, it was notable for its smooth production, but whereas the first time round it had worked well, on Tango Palace it sounded perhaps a bit too slick. 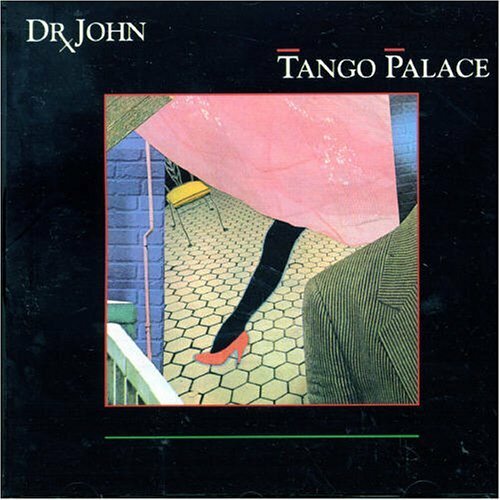 Though several of the songs referred to his home city of New Orleans, and a cover of an old New Orleans R&B hit was also included (Chris Kenner's "Something You Got"), the music itself was curiously lacking any of the New Orleans flavours that Dr John's music had always been filled with. The album was his final one for Horizon, but it was not his final collaboration with Tommy LiPuma. 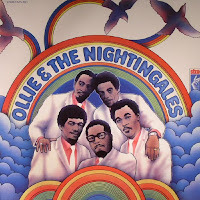 Ollie & The Nightingales were an American R&B vocal group. The Dixie Nightingales were originally a gospel group, formed in Memphis in the late 50s, when they recorded for Pepper Records. The original lineup consisted of lead singer Ollie Hoskins with Bill Davis, Nelson Lesure, Willie Neal and Rochester Neal. At one point they also featured a teenage David Ruffin, who of course went on to find fame with The Temptations. In 1965 the Nightingales were brought to Stax Records, and signed to Stax's gospel subsidiary Chalice, on which they released three singles. A few years later Al Bell convinced them to make the move from gospel to secular music, moving them to the main Stax label and renaming them Ollie & The Nightingales. The change in style paid off, as they scored a #17 R&B hit in 1968 with the song "I Got A Sure Thing", written by Stax labelmates William Bell and Booker T. Jones. They released some follow-ups, but none of them charted as high. Around the same time they also featured as backing singers on Eddie Floyd's hit "I've Never Found A Girl (To Love Me Like You Do)". Their only album saw release in 1969. It was all recorded at the Stax studios, and featured songs by other Stax writers - as well as more songs by Bell, Jones and Floyd there were numbers from the partnership of Isaac Hayes and David Porter. It also featured their own version of "I've Never Found A Girl". Interestingly the album didn't actually include "I've Got A Sure Thing", but I have put it on the end as a bonus track. In 1970 Ollie Hoskins left the group to go solo. The rest of them recorded a few singles without him before disbanding. Several of the remaining members went on to join The Ovations. War is an American funk band originally formed in 1969. War parted ways with English singer Eric Burdon in 1971 - he left them during a European tour. 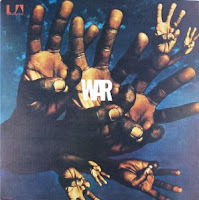 On returning to the USA they were signed to United Artists, and started recording as simply War, with the line-up of Lonnie Jordan (keyboards), Howard Scott (guitar), Lee Oskar (harmonica), Charles Miller (sax & flute), B.B. Dickerson (bass), Harold Brown (drums) and Papa Dee Allen (percussion). Without a dedicated lead singer, they now shared the vocals between themselves, which proved to be a winning formula. Their first album post-Burdon came out later in 1971, and showcased the formula of laid-back, funky grooves with flavours of jazz and Latin music that they had by now perfected. It featured six lengthy songs which gave the whole group room to showcase their instrumental talents. Of note was the closing number, which was a very strange one - "Fidel's Fantasy" perhaps showed that Burdon's influence was still heavy on the group. The album was only modestly successful, the single "Sun Oh Sun" getting to #38 on the R&B chart. Though it wasn't a huge seller, it successfully established the War sound, and set the framework for what was to come. Bob Dylan is an American singer-songwriter who emerged out of the early 60s folk revival to become an informal chronicler and reluctant figurehead of social unrest. He famously made the move from folk music to electric rock in the mid-60s, and has remained a major figure in music for five decades. In 1973 Bob Dylan's contract with Columbia Records expired, and he signed with David Geffen's Asylum lablel. At the same time he began working with The Band again, with plans for a big joint tour. Dylan hadn't toured since 1966 (when The Band, then known as The Hawks, had been his backing group), so this was big news, and resulted in a lot of media attention and eager ticket-buying fans. He also began working on new material in the studio with The Band. Asylum wanted the album to be released on the opening day of the tour, but due to a last-minute title change its release was delayed. 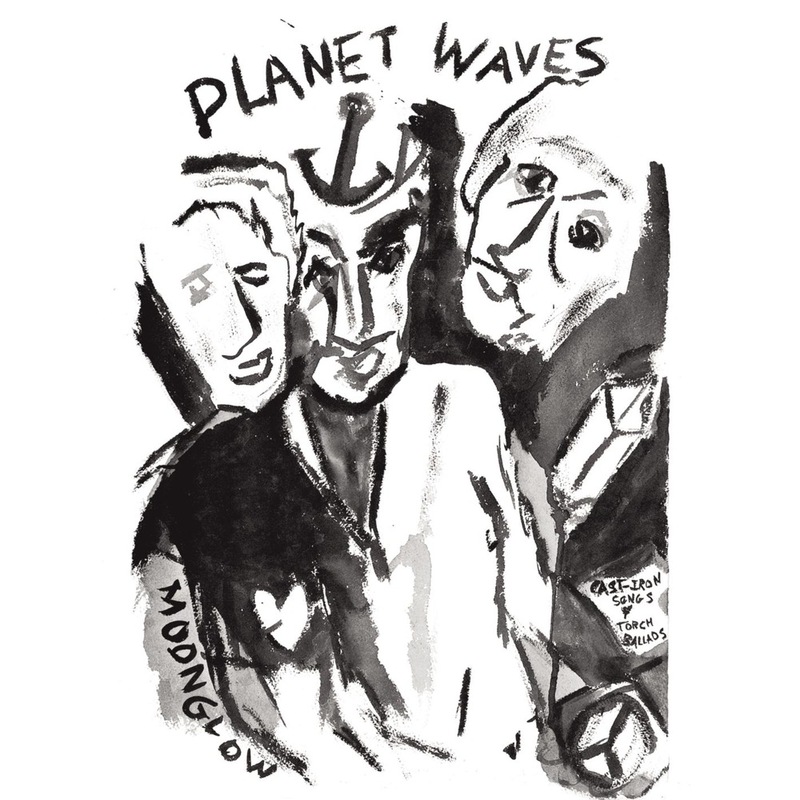 When Planet Waves came out in January 1974, they were already two weeks into the tour. It was a great album, personal in nature and somewhat bleak in tone. 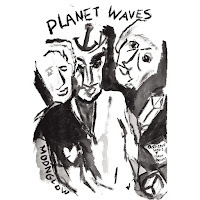 The Band's instrumental backing throughout was fantastic, and complemented Dylan's songs perfectly, though they not add any of their own vocals. It included some very good new songs, including "Forever Young", which went on to endure as one of Dylan's best-known numbers. There were actually two versions of the song, the best-known one which closed side one of the record, and an alternative version that opened side two. The album reached #1 (actually his first #1 album in the US), but despite its obvious strengths it was perhaps not quite the complete artistic comeback many fans were waiting for (it was his first 'proper' album of all original songs in over three years). Though it became one of his best-known songs, "Forever Young" was never actually released as a single. The comparatively lightweight "On A Night Like This" was however, and charted at #44. The new songs were played through the start of the tour, but before long they had all been abandoned except "Forever Young". 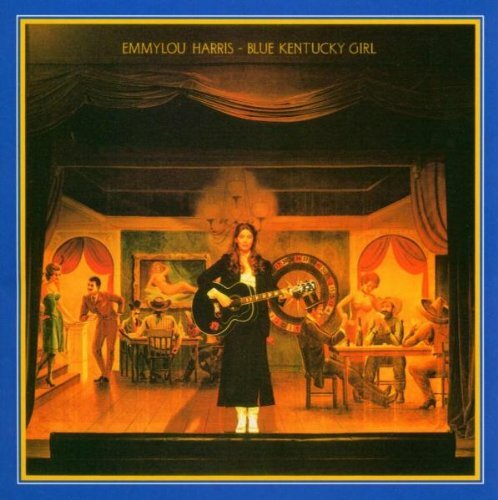 Emmylou Harris is an American singer-songwriter. 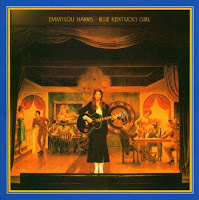 In 1979 Emmylou Harris switched record labels, moving from Reprise to Warner Brothers. Her first album on her new label was Blue Kentucky Girl, which saw her focus on a traditional country sound, including covers of songs originally by Loretta Lynn, The Louvin Brothers, The Foggy Mountain Boys and Diana Trask. There was also a cover of "Hickory Wind", by her old musical partner Gram Parsons, and a countrified rendition of The Drifters' 1960 hit "Save The Last Dance For Me". The album featured several duets and collaborations - one with Don Everly, one with Tanya Tucker, one with Sharon & Cheryl White, and featuring with both Linda Ronstadt and Dolly Parton. Harris, Ronstadt and Parton had attempted to record an album together as a trio but didn't quite manage it, though songs from the sessions would appear on all three artists' records over the years. They did eventually manage to record the Trio album in 1987. The album proved to be a big success, generating three hit singles on the country chart. The title track got to #6, "Save The Last Dance For Me" go to #4, and "Beneath Still Waters" gave her a fourth #1 country hit. Albert King was a highly influential American blues guitarist and singer. 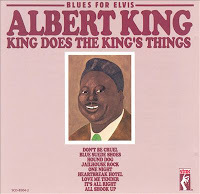 Albert King's third studio album for Stax Records was an unusual concept - a leading electric blues artist covering Elvis Presley's best-known hits. Blues For Elvis - King Does The King's Things was produced by Al Jackson, Jr. and Donald 'Duck' Dunn, both of the Stax house band Booker T. & The MGs. However it wasn't the MGs that backed King this time round, the instrumental support instead coming from Marvell Thomas (keyboards), James Alexander (bass) and Willie Hall (drums), plus of course The Memphis Horns. The covers came off well, often being far removed from the originals in style, the set as a whole still having the funky electric blues sound King had made his own. The one song that was furthest removed from the blues and saw King singing at his most tender was, appropriately, "Love Me Tender". 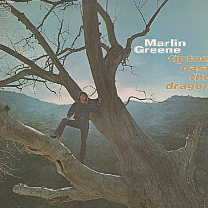 Marlin Greene is an American musician, songwriter and producer. Marlin Greene started his career in the music business in the late 50s, when he released a number of teen-pop singles on a variety of labels. He was part of the Muscle Shoals music scene, and performed in bands (as both guitarist and trumpeter) with musicians who would would later go on work at Rick Hall's Fame Studios. When Quin Ivy set up his Norala Studio in 1965, Hall reccomended Greene when Ivy was looking for an engineer and A&R man. Ivy cut him in for 10% of his new venture, and Greene became his right-hand man in the studio. 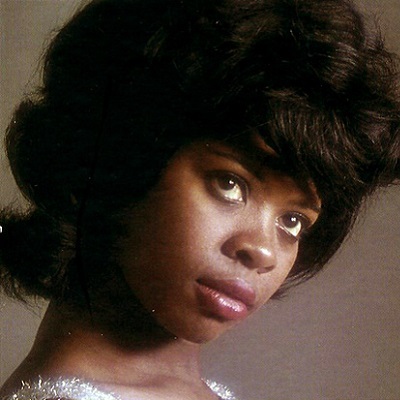 Shortly afterwards he married Jeanie Johnson, who had come to record as a solo artist at Norala (she soon settled into work as a backing singer). Norala took off with the success of Percy Sledge (it was Greene who played the lead guitar on "When A Man Loves A Woman"), and Greene was kept busy as an engineer, producer, guitarist and songwriter. For most of his songwriting he partnered with guitarist Eddie Hinton, and their compositions were recorded by Sledge and many other R&B artists at Norala. In 1969 he and Hinton both migrated from Norala to the newly-opened Muscle Shoals Sound Studio, where he continued to work as a producer and musician, though he often returned for Norala for Percy Sledge sessions. 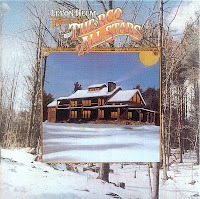 In 1972 he recorded a solo album at Muscle Shoals Sound with help from all his musician friends, including Hinton, guitarist Wayne Perkins (whom he co-wrote two of the songs with), pianist Chuck Leavell and the studio's rhythm section (and owners) David Hood, Barry Beckett and Roger Hawkins. Considering his background in soul music, Tiptoe Past The Dragon was something notably different, with a mellow, acoustic-based folk-rock sound. 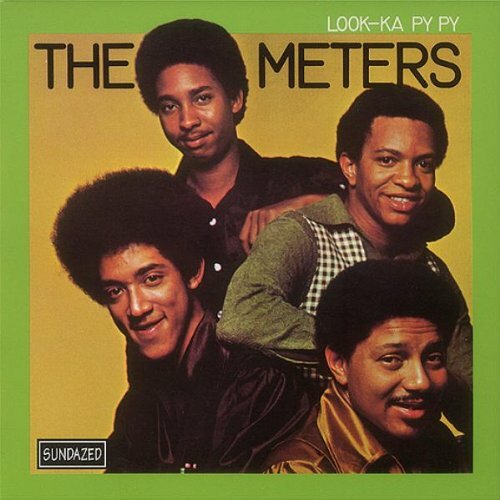 The Meters are an influential American funk band from New Orleans. The Meters' second album followed quickly in the footsteps of their debut, featuring a very similar collection of sparse, funky instrumentals from the close-knit musical partnership of Art Neville (organ), Leo Nocentelli (guitar), George Porter Jr. (bass) and Zigaboo Modeliste (drums). The title song, with wordless vocals inspired by the sound of New Orleans street parades, gave them a third hit, reaching #11 on the national R&B chart. However, despite now having three such successes to their name, the group weren't seeing much in the way of financial rewards. Around this time they were still working as studio musicians for Marshall Sehorn's Sansu label. They also recorded a couple of songs featuring Aaron's younger brother Cyril on lead vocals (and written by Nocentelli), which saw release as the Josie single "Gossip" b/w "Tell Me What's On Your Mind". Both songs saw Cyril's fiery vocals fit the group's funk grooves perfectly, and their was talk about him becoming their lead singer, but it never happened. The Allman Brothers Band are an American band formed in the late 60s, considered highly influential in the genre of southern rock, and also known for their musical improvisation in concert. After The Allman Brothers Band broke up in 1976, all members were kept busy with various solo careers and side projects for the next couple of years. However come 1978 both Gregg Allman and Dickey Betts were thinking were getting the group back together. 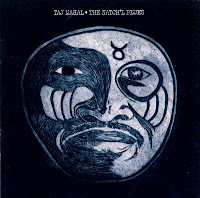 Jaimoe and Butch Trucks both readily agreed to get back on board, though Lamar Williams and Chuck Leavell declined, preferring to stay with their jazz-rock group Sea Level. Betts brought in two members of his own group Great Southern to make up the numbers, and guitarist Dan Toler and bassist David Goldflies joined the four surviving founder members. Their 'reunion' album was recorded at Criteria Studios in Miami, produced by Tom Dowd, who had worked with them on some of their best early albums. It saw release in 1979 as Enlightened Rogues, with the group back on Capricorn Records again. The new album definitely had the recognisable Allman Brothers sound, and saw them returning to the duel lead guitar format. Despite being stylistically on target, it didn't really have many memorable songs to compete with their earlier work, though "Crazy Love" actually became a hit and charted at #29, their second biggest seller after 1973#s "Ramblin' Man". Elsewhere on the album there was a cover of Little Willie John's "Need Your Love So Bad" and another Betts-penned instrumental. Percy Mayfield was an American R&B singer and songwriter. 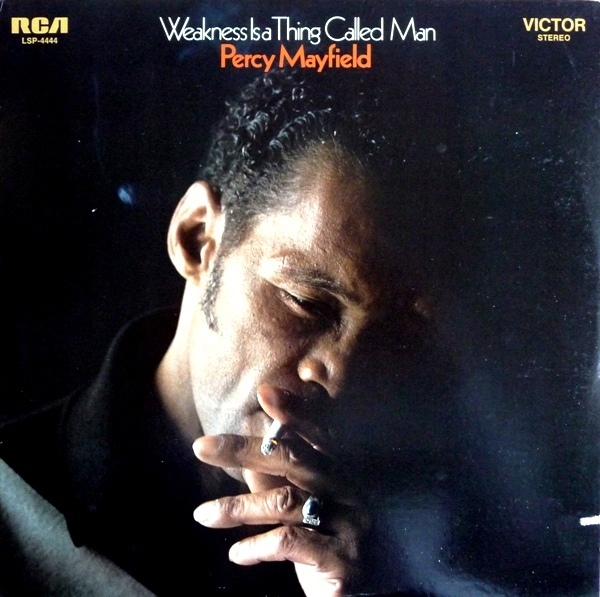 Percy Mayfield was signed to RCA Victor in the early 70s, and during his time with the label he released three excellent albums in just two years. The second of these was Weakness Is A Thing Called Man, following quickly in the footsteps of Percy Mayfield Sings Percy Mayfield. Like its predecessor, it presented another excellent collection of effortlessly cool blues tunes, with Mayfield's laconic vocal delivery set to some notably more modern and subtly funky sounding backing arranged by Joe Jones. Unlike its predecessor it didn't generate any chart successes. By now Mayfield was 50, and any hopes of having another hit single were long gone (it was now twenty years on from his #1 hit "Please Send Me Someone To Love"), but on his album he was sounding as good as ever. 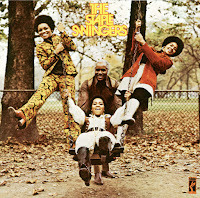 In the late 60s The Staple Singers released two very good albums on Stax Records, both produced by Steve Cropper. Before their next Stax album, Pervis Staples left the group and was replaced by little sister Yvonne (so The Staple Singers now consisted of Roebuck 'Pops' Staples and his three daughters Mavis, Cleotha and Yvonne). Cropper also parted ways with Stax, so when it came to record the next album Al Bell took the production seat. He did things slightly differently, recording out of house at the Muscle Shoals Sound studio. When the album saw release in 1971 as The Staple Swingers, it had a somewhat more streamlined and admittedly more commercial sound compared to its predecessors. 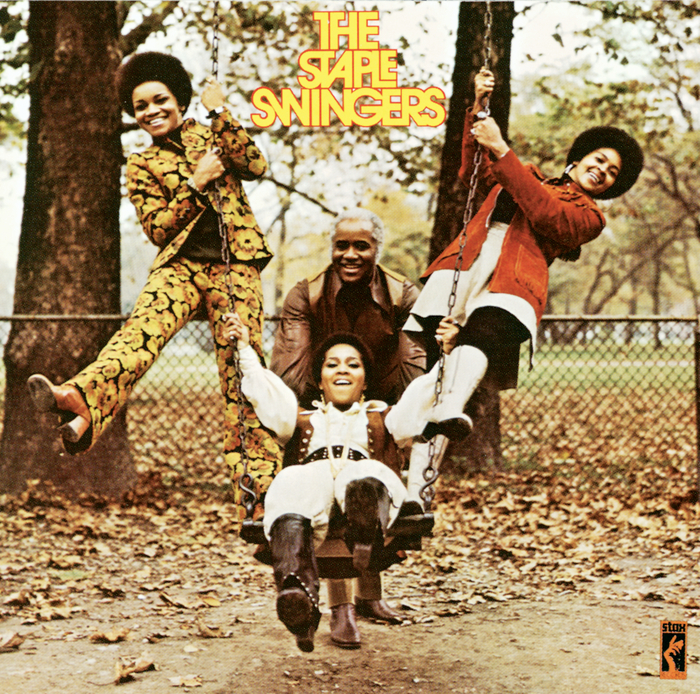 It paid off though, as this was the album that saw The Staple Singers break into the pop charts. Three singles charted, "Love Is Plentiful" got to #31 R&B, "You've Got To Earn It", written by Smokey Robinson and originally recorded by The Tempations, got to #11 R&B, and "Heavy Makes You Happy (Sha-Na-Boom Boom)", written by Jeff Barry and Bobby Bloom, got to both #6 R&B and #29 on the pop singles chart. The album itself got to #9 on the Soul Albums chart. 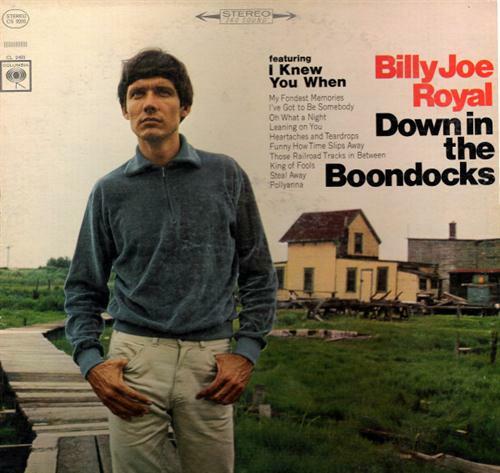 Billy Joe Royal is an American singer. Billy Joe Royal was born in Georgia in 1942 and raised as part of a musical family. He first began performing as a teenager, was featured on local Georgia radio, and recorded his first single in 1962. In 1965 songwriter/producer Joe South (whom he had known for several years) called him up to record a demo for a song originally intended for Gene Pitney. The demo led to Royal himself being signed to Columbia Records, and his demo version of the song being released. "Down In The Boondocks" gave him his breakthrough hit in 1965, charting at #9. His debut album followed, produced by Joe South and featuring many more of South's compositions. With Royal's quivering vocals to the forefront, it featured a distinctive style of pop music with hints of country and R&B, genres which were represented by covers of Willie Nelson's "Funny How Time Slips Away" and Jimmy Hughes' "Steal Away". Two more of the South-penned songs saw release as singles and charted well - "I Knew You When" got to #14 and "I''ve Got To Be Somebody" reached #38.